Heat oil in large skillet over medium-high heat until hot. 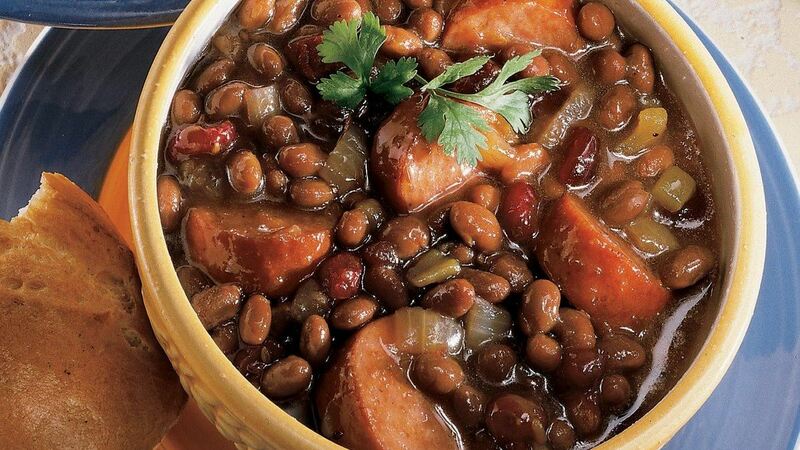 Add onions and smoked sausage; cook 7 to 10 minutes or until sausage is browned and onions are tender, stirring frequently. Add cumin seed; cook 1 minute. Drain. Add beans, green chiles, cranberry sauce, dried cranberries and chipotle chile; mix well. Reduce heat to low; cover and cook 5 to 7 minutes or until thoroughly heated, stirring occasionally. To serve, spoon into serving bowl. Garnish with cilantro. If desired, serve with French bread.